Orient Bank in Uganda has picked Profile Software’s Acumen, the web-based treasury management platform that stems from the vendor’s acquisition of Login last year. The bank selected Acumen “due to its real time, automated and powerful” reporting and straight-through processing (STP), according to the vendor. The solution will be interfaced to Orient Bank’s core banking system, Flexcube 12, from Oracle FSS. Acumen also supports risk management functions for counterparty risk and market risk. Orient Bank’s head of IT, Kumar S.N.V.S., praises the software’s capabilities to provide updates in real time position “for powerful reporting” and its “seamless” integration with back-office software. 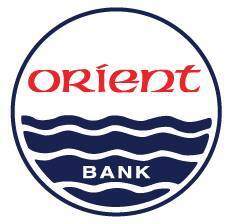 Orient Bank was founded in 1993 and is based in Kampala. It has 23 branches across the country, and offers commercial and retail banking services. It has total assets of UGX 680 billion ($180 million).